My Employer Does Not Have Workers’ Compensation Insurance. What Now? With very rare exceptions, an employer must have workers’ compensation insurance in order to do business in Florida. However, some employers will try to go without, usually for alleged financial reasons. If you are injured on the job and it turns out that your employer does not have workers’ compensation insurance, it can be a frightening time when you may have no idea what to do. There are, however, options you can pursue to seek compensation for your injuries. The relevant Florida statute says explicitly that if a business employs 4 or more people (or 1 or more in the construction industry), they must provide workers’ compensation insurance for their employees. This includes any subcontractor as well, though they may be able to procure insurance through the contractor instead of obtaining it privately. In exchange for providing this, employees give up the right to sue their employer in civil court unless certain criteria can be proved (for example, if an employer commits an intentional tort like assault against the employee). If you are an officer of a company, you may be able to exempt yourself from receiving workers’ compensation benefits, provided that you meet the relevant exemption criteria. Many executives do this to try and help keep premiums down for their employees, given that workers’ compensation insurance premiums are often charged based on how many employees are covered. However, it is important to understand that this is a personal exemption from receiving benefits – one cannot exempt their business as a whole from providing coverage. Unless your employer has less than 4 employees, or they meet another very rare exception, they are obligated by law to provide workers’ compensation insurance, and if they do not, you can pursue several options. 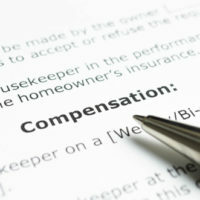 Businesses in Florida that do not have workers’ compensation insurance will generally be fined up to 1.5 times the amount that would have been paid in premiums in the past three years, and may also be issued what is called a Stop-Work Order (SWO), meaning that the business may not legally operate, until the fine is paid. Reporting your employer for noncompliance may start these penalties. If your employer does not offer to settle even once under investigation, you may be able to bring suit against them for your bills. Normally, Florida law does not permit employees to sue their employers over on-the-job injuries, but this is only the case if the employer provides workers’ compensation insurance. If none is provided, there is a far greater likelihood of a lawsuit going forward. If you are harmed on the job, you can generally expect your employer to have the insurance to handle it. If they do not, it can be a shock that causes real problems for you and your loved ones. If you have experienced such a surprise, the Winter Park workers’ compensation lawyers at the Hornsby Law Group may be able to help you decide where to go from here. Call our offices today at 866-300-5468 to set up an appointment.